Starting from January 2015, the Gender Educational Experiment has been taking place in 8 schools of Kharkiv region with the support of Heinrich Boell Foundaiton. Its aim is to create an educational space free from gender stereotypes and discrimination, where people are able and ready to identify, notice, analyze and react with their reflections and actions to everything that has to do with gender inequality, gender stereotypes and sexism. This 3-year project is a logical continuation of the educational, analytical and publishing work carried out for the past few years by the Gender Information and Analysis Centre KRONA. This year KRONA is celebrating its 20th anniversary. All these years the NGO has been working continuously to promote democratic values, justice and above all gender equality in Ukrainian society. What is the aim? To create in educational institutions a gender-sensitive educational space, a space free from gender stereotypes and discrimination, where people are able and ready to identify, pay attention to, analyze and react with their thoughts and actions to everything that has to do with gender inequality, gender stereotypes and sexism. Currently there are two leading institutions, which already demonstrate quite a high level of sensitivity: Lozova educational and care institution #10, and Ohiivka educational and care complex (a Gender Centre was even opened here, the first one of its kind within a Ukrainian middle school educational system). When? Gender educational experiment started in 2015 and continues till today. 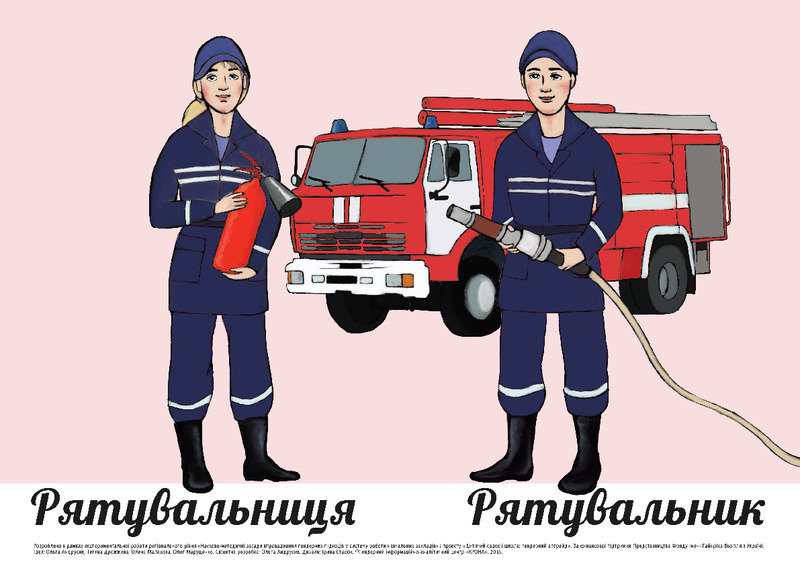 The latest product of the project is a collection of articles on gender in pedagogy written by teachers themselves, the first of its kind in Ukraine. Instead of «dry» academic texts, it includes stories written in simple language that depict practical, shared educational or managerial experience of addressing (successfully or not) gender stereotypes and discrimination, resolving various «gender situations» in and outside of the classroom, in preparing educational events and, for example, during parent-teacher meetings. In June 2017, a 3-day summer school took place. It united 14 most motivated and gender competent teachers from experimental institutions. The training agenda included in-depth immersion in gender issues, work with controversial issues which school staff faces in their pedagogical practice. In the fall, the towns where experimental schools are located hosted a competition between school on gender-sensitive social projects. The projects are gender-related initiatives, aimed at raising awareness about and/or resolving specific social issues in the community. The Gender Educational Experiment consists of several parts. It started with trainings for teachers and kindergarten staff (overall, more than 30 trainings took place. Most of them were held inside the educational institutions, which is an important priority for the project team). After that a creative working group of 4-5 people was created in every school consisting of people who had been trained (and had conducted themselves) a gender audit of their own educational institution. A gender audit is a series of monitoring activities aimed at analyzing the inclusion of gender equality principles in activities of the school. The gender audits helped reveal the «bottlenecks» of gender issues in schools and find recommendations for positive changes. As part of the experiment, gender analysis of the entire “wall space” (information boards, posters, stands) of the experimental schools was conducted and it revealed stereotypes and discriminatory nature of these spaces (read more about it in the article of Olga Andrusyk “Visual Space of Schools: A Gender Trap” in the gender magazine “Ya”, issue “Gender and Location”). 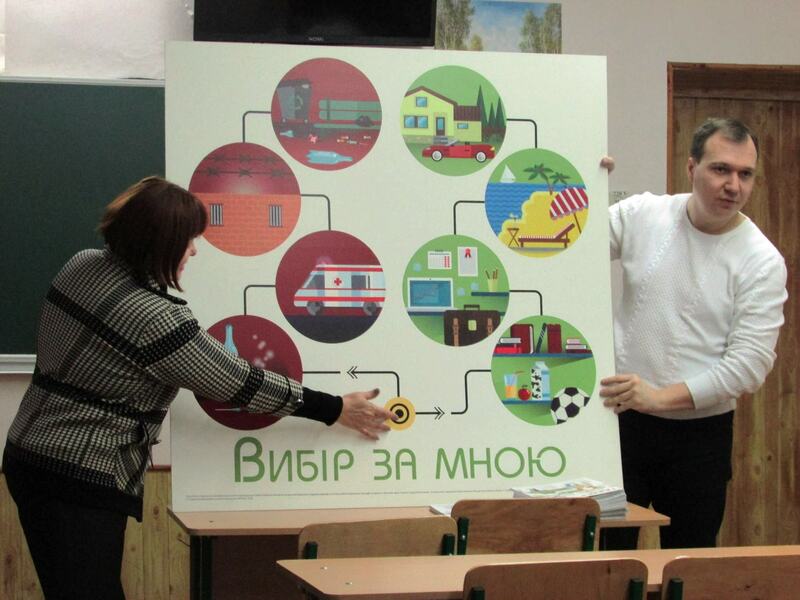 As a result of the gender analysis, gender sensitive visual materials appeared in schools (the only ones of such kind in Ukraine). All these materials were developed directly by teachers during inter-school gender workshops. First examples of such materials are posted on the website of KRONA and are free for download, anyone can use them as informational and educational materials for their schools. In winter 2016, a unique event was organized as part of the project: a «Museum on Wheels» or a «Museum of Women's and Gender History» was brought to every school (more about the museum in the article by Tetyana Isayeva and Volodymyr Karpov «Museum on Wheels: A Unique Experience of Museum Pedagogy», gender magazine «Ya», issue “Gender and Education”). There were also competitions for teachers, where a team of experts encouraged participants of the experiment to create their own gender sensitive materials to help introduce antidiscrimination education in schools (17 works in total were submitted, 3 of them were selected as winners and published on the website of KRONA). The best scenario of gender sensitive educational events were brought together in an on-line collection, the first one of its kind in Ukraine. Sociological survey of opinions of teachers and students was conducted as part of the experiment. Along with positive trends, the project team has also identified certain challenges. However, the challenges did not prevent the Gender Educational Experiment from happening. The team was ready for them because this is not the only project of KRONA which involves cooperation with the school system. Key activities of the experiment are photographed and recorded on video, notes are also taken as part of the experiment, so that everyone who is interested would be able to be informed about project's results. A book about project's results is planned for publishing in mid-2018.